Employers can and do exploit workers in downturn. Gilbert goh. I refer to the article “Flexi-work law? No need” (ST 28 Aug). 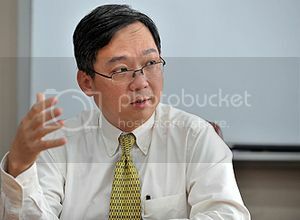 I disagree with Manpower Minister Mr Gan Kim Yong that there is no need to implement legislation to reinforce the flexi-work arrangements to promote work life balance. Numerous letters to the forum pages from our workers have all pointed to a worsening work life balance especially with the current ongoing recession. Workers who are still working have to cover the duties of those who are retrenched to save cost. Many workers take on extra duties without any additional pay and have to work beyond the stipulated 44-hour work week. Many workers dare not voice out for fear of losing their jobs, let alone complaining to the ministry directly. Many simply work way into the night just to hold on to their jobs. Some working mothers I know have also indicated that they dare not try to have another child due to the imbalance work life situation here. Many mothers feel guilty that they have to work very late and could not find the time to spend with their young children. What good is it that you have many children but could not perform the role as a mother and enjoy their growing up years? Many simply place their kids with babysitters and only manage to spend some time with them over the weekend. It is an arrangement that they abhor but do it out of necessity without any viable alternatives. Such children also tend to bond more with their baby sitter’s family than their own parents. I was sadly a by-product of such a system. My parents worked very late and had to put me and my brother up with a babysitter. We stayed with them for many years, only seeing our family twice a month. Naturally, my brother and I felt much closer with our babysitter family. When we were older we were very reluctant to move back to our parents’ home. My brother stayed with the sitter till he was 16 years old. The same thing could happen if children are taken care of by domestic maids. It is obviously not an ideal situation for the family. Women may not be able to simply resign from their work to be full time mothers due to the recent huge rise in the cost of living here. Living on one’s income alone is more like a luxury these days. Husbands will also pressure their well educated wives to work as they feel the stress of holding the fort all alone on one income. Most employers will thus exploit the lax labour laws here to push workers to work beyond the average normal working hours. Tripartism will only work if all three parties come together and work in union towards a common goal. As of now, tripartism currently favours the employer more as without legislation they need not follow the call to implement family-friendly practices at work. Workers all have everything to lose here with no flexi-work rules in place. Any good law without proper legislation is subjected to abuse and we are currently seeing this right now in Singapore.